Astrology is the science of observation and symbolism. 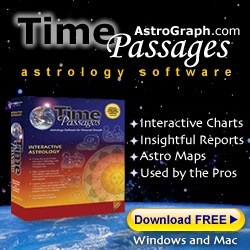 This site has been intuitively designed for easy navigation and to help you understand the logic behind astrology. The meaning behind the symbols and planets can be increasingly profound on one’s life. The planets are named after gods and goddesses of ancient Roman and Greek mythologies. These astrological factors are meant to be archetypes of our subconscious and their influence upon us is based on symbolic reality as well as astrophysical force. To better comprehend our lives we must first understand who we are at our core. We begin this journey on the day of our birth, which marks a significant event in time. I hope that you enjoy this website and I look forward to helping you with your quest. 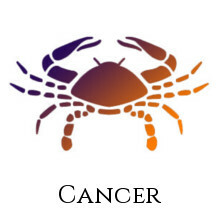 In the meantime click on the astrological birth signs to learn more about your sign. You may also want to sign up for my free monthly e-newsletter with monthly horoscopes. You may can also learn when I will be conducting a presentation or workshop in your area by viewing upcoming events. Purchase any session below then you will be contacted for an appointment. *To complete your purchase transaction fill out the Birth Information form on “Thank You” page after completing your payment. Please log in now to get access to your premium content. The Second Annual 7th Seal Summit will be held at the Creative Life Center in Sedona, Arizona commencing on July 5th, and concluding on July 7th, 2019. This year will feature some of the speakers you know and love from our first Summit in 2018 and some amazing individuals new to the 7th Seal Summit Stage. This year is bigger and more action packed and will include a surprise Keynote Speaker. We have included a Sound Journey and a Live Reading with The Divine Ms M and M will be bringing you next level information on the St Germain Codes. This year you will have an opportunity to meet more members of the earth alliance who have kept their identities hidden until now. Join this world’s top highly gifted minds in exploring literal growing consciousness, higher dimensional, spiritual, scientific, inter-related geopolitical, social, cultural & interpersonal change issues, and strategies to deal with these in the coming years.We truly hope you will gain new knowledge, insights and wisdom shared by our speakers, including noble Native American, Indigenous, Hawaiian, Aboriginal teachers, and others, from these upcoming unique events. With these experiences we hope will come great insight, knowledge, wisdom. And joy. The goal of each specific conference, and special event, is to help enlighten, inform & impart both practical knowledge and wisdom as we attempt to deal with formative changes happening on our world today. You can be assured these very real continued political, social consciousness and transformational changes will continue, on every level, as we we progress into becoming a more awake, aware and enlightened species. Expect these conferences, and special events, to always be intelligent, heart centered, enlightening & grounded experiences… with many opportunities for extensive two way dialogues between you and the Speakers. beautiful blue planet. It is time to bring all of the tribes, all of the people, of this world together. Thank you Joseph for a wonderful reading and helping defuse my anxiety and issues. You were Spot On! You gave me a wealth of information and tools to deal with life. THANK YOU!